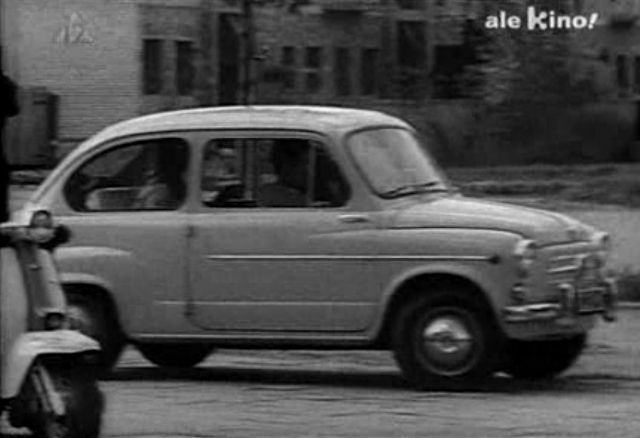 IMCDb.org: 1961 Fiat 600 D [100D] in "Dancing w kwaterze Hitlera, 1968"
Probably it won't be possible to say, but we can try... Fiat or Zastava? The front trim is not Italian Fiat. Doesn't look like Jagst I think, btw. this car was probably unknown here. The front end decoration in the 1st half of 1960s was nearly identical in Fiat and Zastava. Weasel1984 wrote This one is different than the other 600 (no badge on the boot lid). Maybe one of thme is Fiat and another one Zastava - would be cool to have both in one movie. electra225 wrote The small badge on the boot, used untill November 1965 (i.e. 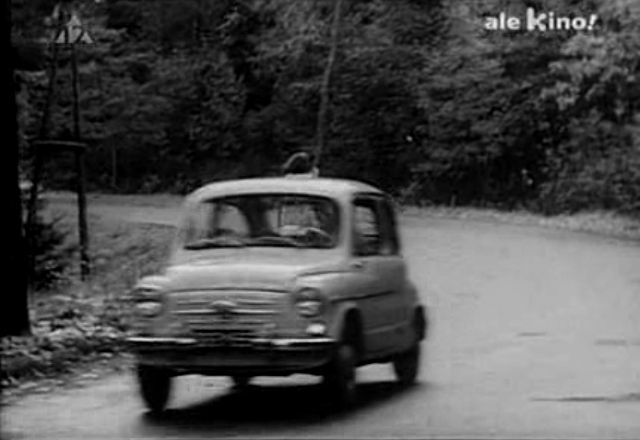 the last series), contains the script "Fiat", as the fake grille contained (untill November 1965, as well!) the word "600". Since November 1965 a new fake contained the word "Foat".